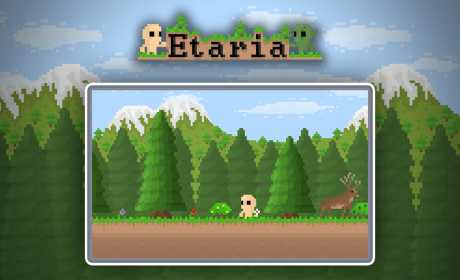 Etaria is a fictional mystical world in which various animals and beings live. You get to this wonderful world and you have only one purpose is to base the people which you will lead to blossoming. The whole world is created in a random way and it completely boundless. To you always will than be engaged, the choice remains only for you. To go to chop trees and to collect wood or to descend on fishing? To pick berries or to go shooting? Will move off in searches of new lands or to go down in deep caves? 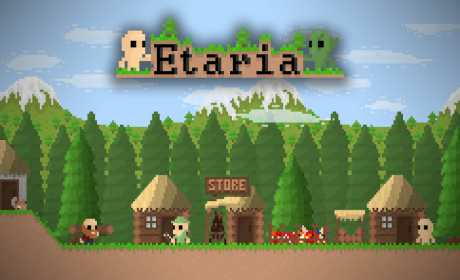 Traveling all over the world in Etaria you will meet a great number of various representatives of fauna of this or that district. Little and lovely little squirrels, fluffy and soft lambs, huge and terrible scorpions and many others. At game there will be Sand-box’a elements, namely editing a landscape and construction of huts and other useful constructions. At game also there will be survival elements. Collect livelihood, beat off from enemies and wild animals and many other things. Be engaged in hunting for production of food and various useful resources, such as skins, canines, etc. You catch fish in reservoirs. Fishing is one of fascinating occupations, after all fish клюёт depending on time of day. You can found the village in which your inhabitants whom you can divide into categories will live and give them various tasks, for example cut firewood, hunt, will go to mine, etc. 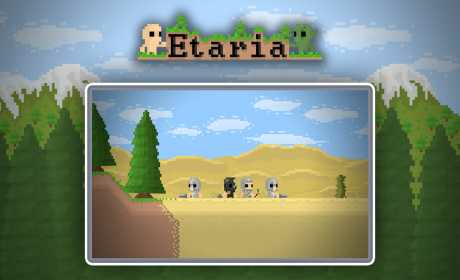 Come into Etaria every day and receive a gift! You are waited by resources, the weapon, armor and many other things! • Completely casual and infinite world. • Large number of various animals and other beings. • Different types of pastime: the cabin of a tree, fishing, hunting, descent in dark caves and many other things. • Tower-Defence elements. Defend the settlement and attack the others.